This was done in collaboration with WWF. 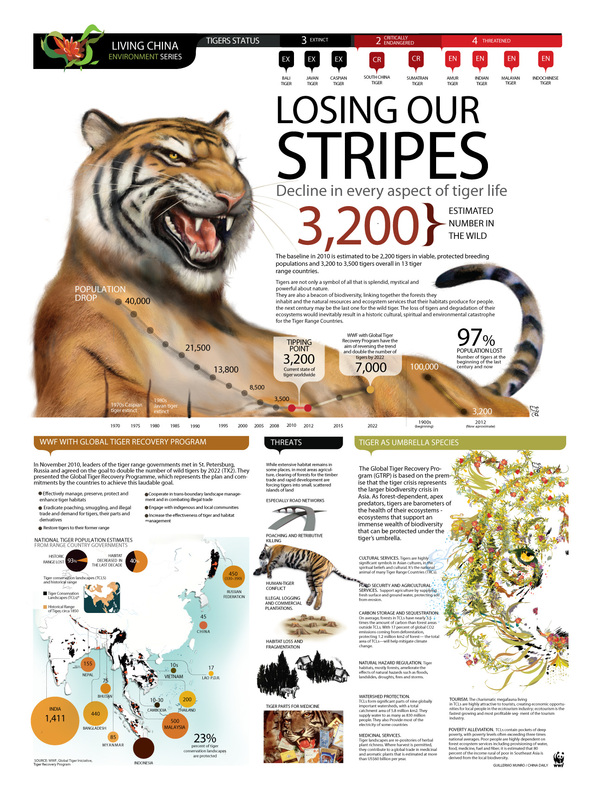 I show the population of tigers, tendencies, numbers 100 years ago, numbers in the 70's how many tigers per country are left, what the biggest problems are, and how saving the area where the tiger lives actually saves much more than an animal. thanks to WWF and the Global Tiger Recovery Program.